Forte de Santa Maria in Porto da Barra, one of the best beaches in the world, according to CNN. Salvador is one of the oldest cities in America. 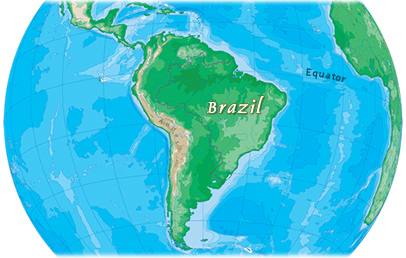 Brazil is the largest country in South America. Its largest city is São Paulo, the capital is Brasília and the cultural heart is Bahia. Brazil’s large size and diverse population provide great variety in the natural environment, economy and culture. 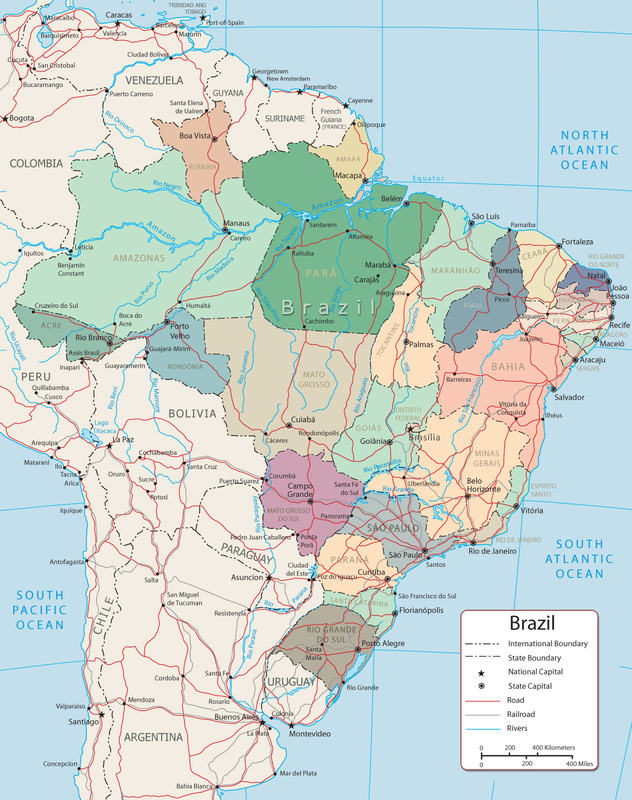 Copyright © Geographic Guide - Brazylia, Brazilėjė, Бразилия (Rússia), ब्राज़िल, 巴西 (China). Cities of Rio de Janeiro, São Paulo and Curitiba. Fortaleza, Salvador (Bahia) and Brasilia. The islands of Trinidade, Martin Vaz, Arquipelago de Fernando de Noronha, Atol das Rocas, and Penedos de São Pedro a São Paulo are not shown. Trinidade and Martin Vaz are administered by Espirito Santo. The arquipelago de Fernando de Noronha, by Pernambuco.